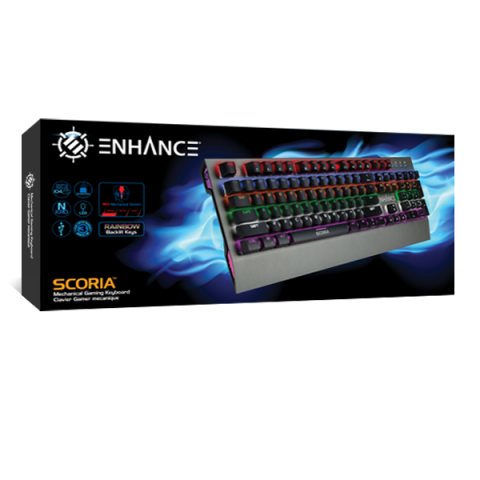 Rise above the competition with the ENHANCE Scoria Mechanical Gaming Keyboard. 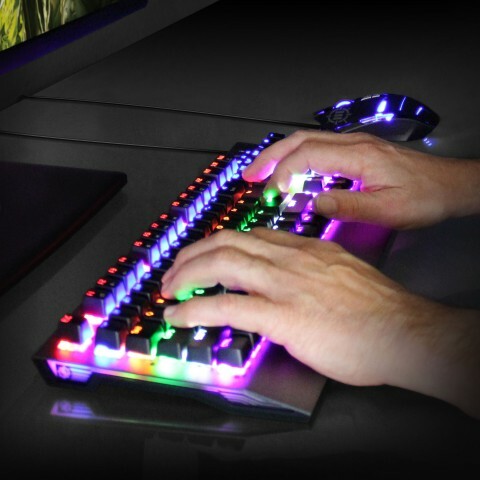 Featuring Anti-Ghosting Keys, N Key Rollover, WASD to Arrow Key switching, and LED Customization, the Scoria Pro Series Gaming Keyboard is dominate in all your favorite games. 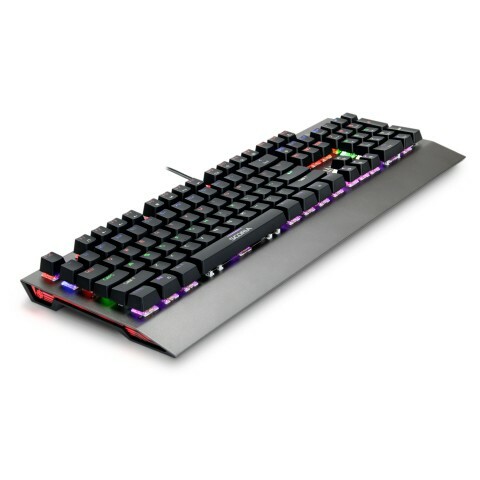 The Scoria Gaming Keyboard incorporates GATERON red mechanical switches. 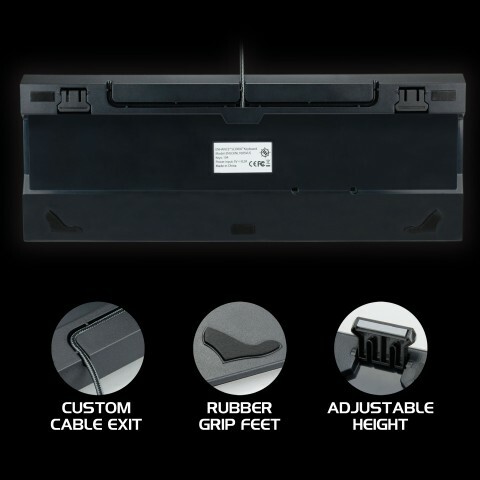 Linear behavior with no interrupting bump allows for smooth keystrokes for faster response with little key resistance, requiring only 40 grams of pressure before a key register. 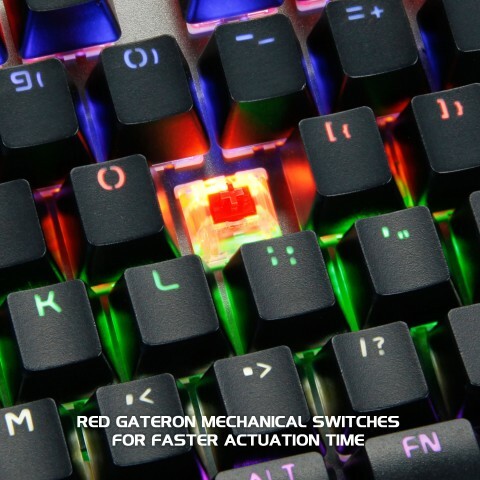 GATERON switches offer a faster response for a competitive edge in FPS, MOBA, and competitive online games. 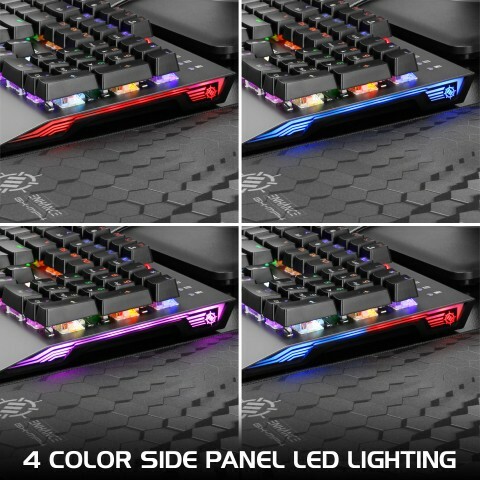 Rainbow LED Customization with 10 Lighting effects to choose from complement any PC set up. Simply use the on board shortcuts to switch between OFF, WAVE, RAINDROPS, STATIC, EXPLOSION, FADE and many more Lighting Settings. Aluminum Metal body design with a built in wrist rest looks sleek and stays cool even during the most intense gaming sessions. 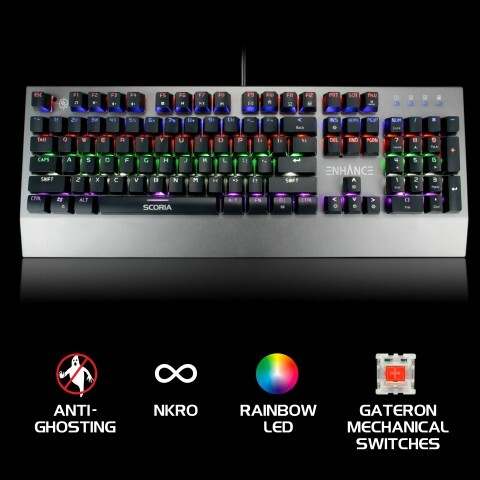 12 multimedia shortcut keys allow for quick and simple control without leaving your game or current application. 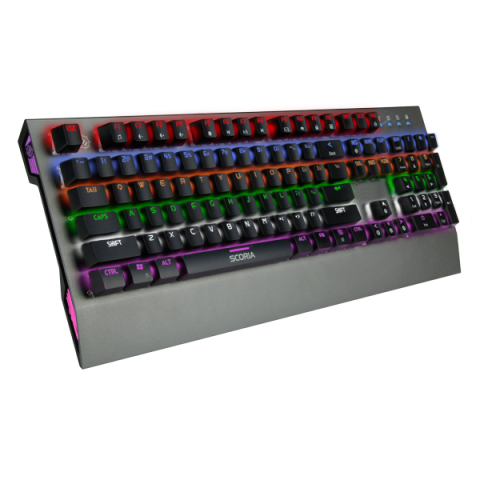 The Scoria LED Mechanical Gaming Keyboard is equipped with double shot injected key caps, a tactile coating that resists wear and tear from constant keystrokes, UV light, and grease. 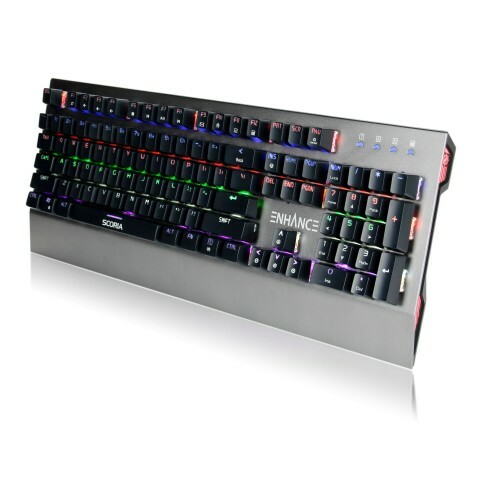 Rise above the Rest with the ENHANCE Scoria Gaming Keyboard.